On September 09th 2018, Mr. Hoang Dinh Phi- Head of Van Phong EZ’s Management Board welcomed and worked with Mr. Hirofumi RYU- Japanese congressman and his delegation to find out information about Van Phong EZ. 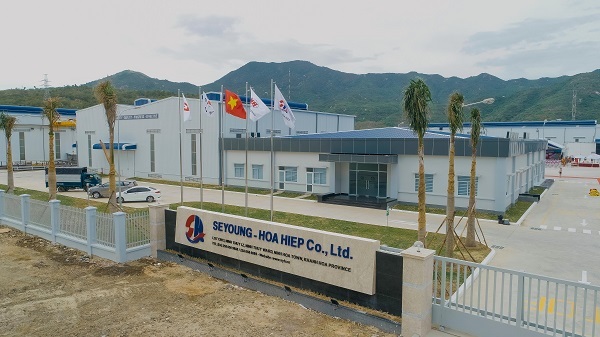 On July 27th, 2018, Seyoung - Hoa Hiep Co., Ltd. celebrated solemnly the inauguration ceremony of Seyoung - Hoa Hiep Factory specializing in manufacturing, processing and assembling machine clusters, modules, parts of whole clusters, kinds of pipes and steel compenents at Ninh Thuy Industrial Park (IP), Ninh Thuy ward, Ninh Hoa town, Khanh Hoa province. On March 22, 2018, Mr. Tran Son Hai - Permanent Deputy Prime Minister of Khanh Hoa provincial People’s Committee presided the task force and carried out an actual inspection of implementing Ninh Thuy industrial zone’s infrastructure in Ninh Thuy Ward, Ninh Hoa Town, Khanh Hoa province. 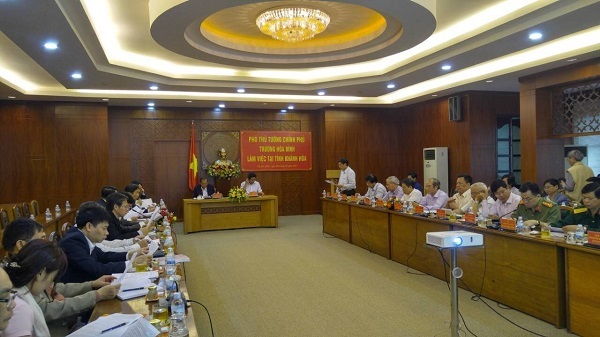 The task force includes representatives of agencies such as Management Board of Van Phong Economic Zone, Department of Planning and Investment, Department of Natural Resources and Environment, Department of Industry and Trade, Department of Instruction, Department of Transport, People’s Committee of Ninh Hoa Town, Ninh Hoa urban environmental Joint Stock Company, Khanh Hoa Power Joint Stock Company and the investor as Hoan Cau Van Phong Limited Liability Company. On January 04th 2018, the delegations of Appraisal Board’s delegations of establishing special administrative - economic zones was leaded by Mr. Le Vinh Tan – Minister of Home Affairs, took a site survey and worked with Khanh Hoa province about the project on establishing Bac Van Phong special administrative – economic zone. On the side of Khanh Hoa province, Mr. Le Duc Vinh – Deputy Secretary of Provincial Party Committee, Chairman of Khanh Hoa People’s Committee and other provincial leaders welcomed and brought the delegation to the site survey. 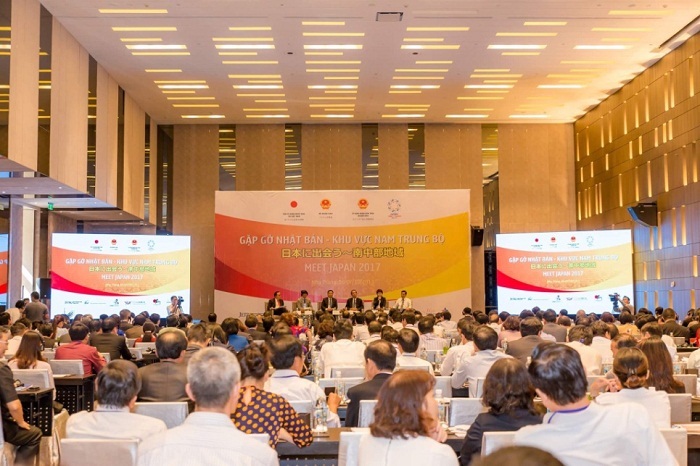 Within the framework of APEC event 2017, Vietnam Business Summit 2017 themed “Vietnam: We mean business” was celebrated in the morning of 07 November 2017 at Ariyana Convention Centre, Da Nang City with the participation of Vietnamese leaders at ministry, department and local level, representatives of prestigious international organizations, scholars and 2,000 buisness leaders in the country, Asia-Pacific and international area. Speaking at the conference, the Prime Minister Nguyen Xuan Phuc affirmed being determined to build an action, developmental tectonic government that served people and business; being proactive in the international integration and supporting strongly the free global trade. Both two speakers as visitors of the conference – Mrs. Victoria Kwakwa, World Bank’s Vice President for East Asia – Pacific and Mr. Philipp Roesler, the managing director of World Economic Forum (WEF) reckoned that in the last time, Vietnam had achieved much progress in enhancing the national competing capability, developing the infrastructure, alleviating the poverty and protecting the environment. 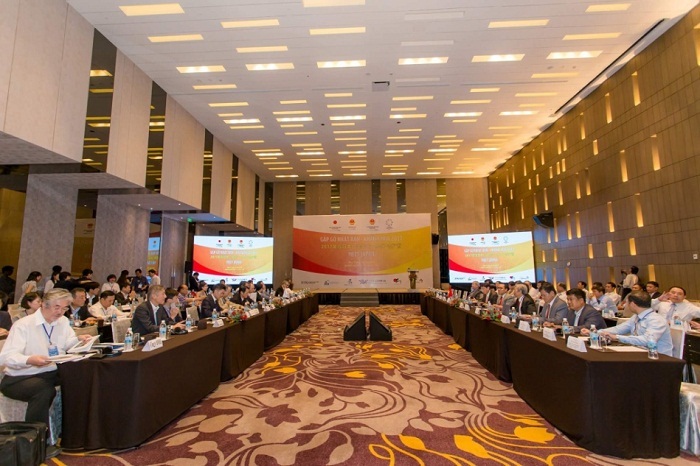 At the same time, they expressed their belief that Vietnam would keep developing and become a destination to attract investors in the future. On 08 November 2017, the Law Committee of the National Assembly celebrated the consultation about the law project on special administrative – economic units at Dien Hong meeting room, the House of Parliament. It is presided by the Chairman of the Law Committee- Mr. Nguyen Khac Dinh; Minister of Planning and Investment- Mr. Nguyen Chi Dung and Minister of Home Affairs- Mr. Le Vinh Tan. The objective of the consultation is to provide more information, exchange, more clarify some important contents in order to serve the discussion at Team and at the Meeting-hall about the law project, as well as letting localities to present more clearly about the Project of establishing special administrative – economic units. During the conference “Meeting of Japan – Southern Central Region 2017”, on October 07, Khanh Hoa province organized a field trip for Japanese partcipants to visit the south of Van Phong Economic Zone. The aim of the trip is to introduce the strengths and potential of Van Phong Economic Zone as well as the strengths, industry orientation of Bac Van Phong special administrative – economic zone. At the field study, Mr. Hoang Dinh Phi- the chairman of The management board of Van Phong Economic Zone introduced some large projects that are located in the south area including: Nam Van Phong general port (30,000- 70,000 DWT), Ninh Thuy industrial zone, Van Phong 01 Thermal Power Plant, Nam Van Phong Petrochemical Complexes, Van Phong Bonded Petroleum Terminal… Besides that, he hoped that Japanese investors would study the opportunities to invest and execute the projects in the economic zone, especially in the area of Doc Da Trang. 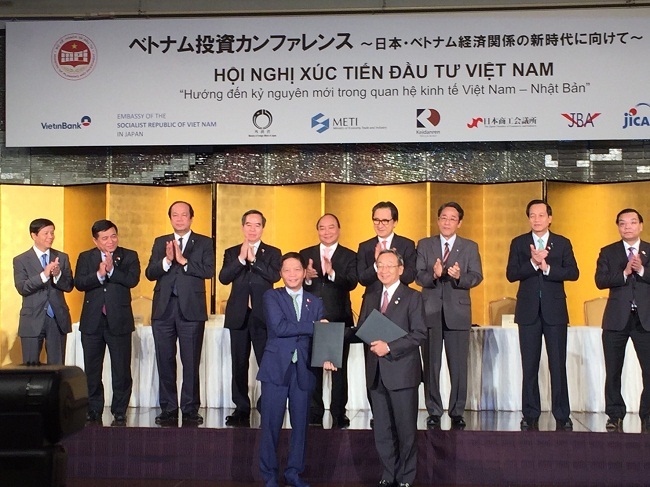 On 25/5/2017, Ministry of Industry and trade and Sumitomo Corporation has signed investment agreement for BOT Thermal power plant Van Phong 1. This is an important project has motivated for Van Phong economic zone with a total registered capital is 2 billion dollars; the scale is 1,320 MW; investment location in South VanPhong (in Ninh Phuoc commune, Ninh Hoa town, Khanh Hoa province).